PTSD touching down once again with another review for y’all! So, tell me? Who has heard of a company called Impact Soundworks? Most of you seasoned Kontakt veterans will be familiar with the name. If you haven’t heard of them, let me give you a brief run down on who they are. Impact Soundworks is a software company founded in 2008 that specializes in virtual instruments and is based in the U.S. Since their inception, they have gained great popularity with producers, musicians and composers alike. What Impact Soundworks have really become renowned for are quality virtual instruments that work inside of the native instruments Kontakt platform. 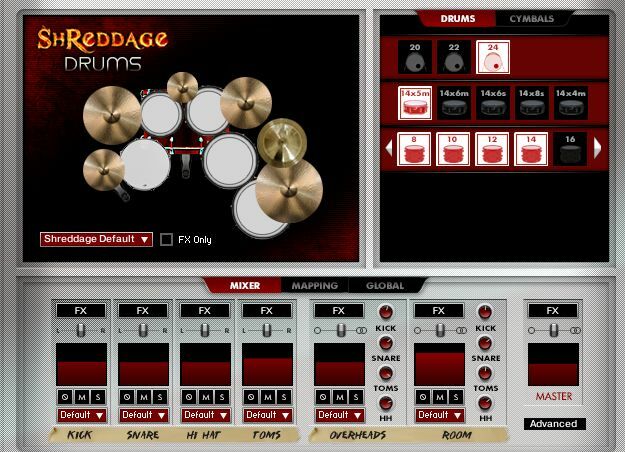 Today, I am excited to announce that Impact Soundworks have released their newest Kontakt instrument Shreddage Drums!!! Shreddage Drums is an acoustic drum connoisseur’s paradise. This Kontakt library is aimed at the rock and metal community but will definitely find its way into the hands of producers, scoring composers and sound designers. I am also pleased to inform you that this instrument does not require the full version of Kontakt to run! 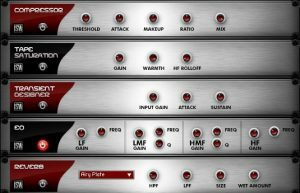 You will be happy to know that you WILL be able to use the Shreddage Drums instrument even if you only use Kontakt player, which is always available for free download over Native Instruments. Okay, let’s get into the rest of the review! 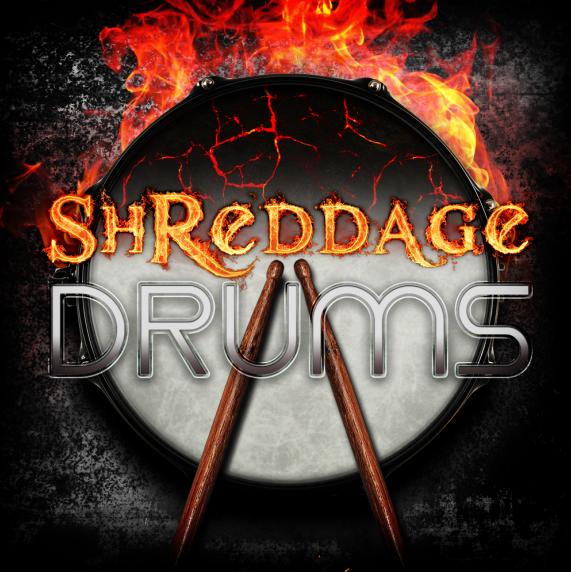 Weighing in at just shy of 4GB in size, and created with Frank Klepacki the legendary award winning musician and composer, Shreddage drums is a an excellent drum kit. If you have not had the pleasure of hearing of Frank Klepacki until now, I will give you a quick background. Frank Klepacki’s resume is seriously impressive as he was the man who composed and did the scoring for many popular video games, some examples include Star Wars: Empire at War, Command and Conquer and the legendary Dune. Frank’s main role in this particular project was to engineer, perform and record all of the different articulations for this instrument. So, if you have worked with any of the other Impact Soundworks releases, I’m sure you will be aware that the company’s products are of high quality. Shreddage drums meets that expectation and comes loaded with over 25,000+ samples, provided in both 16- & 24-bit format, and also includes over 700 midi patterns (created by Groove Monkee) to help kick start the creative process. After importing the library into Kontakt, I loaded it up and found the 16- & 24-bit folders respectively. Inside, there are two articulations, Shreddage drums and Shreddage drums (no bleed). Feeling adventurous and wanting to get the full experience, I loaded up the articulation with bleeding enabled. At first glance, the GUI is pretty streamlined, very tidy, well organized and easy to navigate. I opened up the preset menu to take a look at what was inside and was impressed. There was a lot of good content in there! The presets with FK in the text are presets created by Frank Klepacki. For ease of use next to the preset menu, you can find a tick box that toggles between the processed and unprocessed kits. I loaded up a Midi pattern and one of Frank’s signature kits to start me off. Holy Smokes! The sounds here were mean!! The drums were thundering away and immediately grabbed my attention! After I finished moshing out, I gathered my composure, sat back down and started to go through the kits one by one. There are a lot of great presets packed inside. Some of the kits are heavily processed and some have been left dry to give the user flexibility. At the bottom of the interface, you will also find the FX suite. On board, there is also a compressor, saturator, transient shaper, EQ and a convolution Reverb. The mixer here is fantastic! Neat, Compact and streamlined. It comes fully loaded with lots of great presets to get you started. Also, you have the ability to create your own, and then save and share with friends who also own the product! Pretty cool huh? Everything, and I mean EVERYTHING, can be configured to your liking, if you want to change or adjust the panning, overheads, volume or tuning on the global or individual scale, it can all be done to suit your own personal taste. I also really liked what this instrument had to offer. Straight off the bat, I was able to get results. Building a solid drum groove in good time was not a problem. If you’re a real craftsman and thoroughly enjoy getting your hands dirty, you will definitely get the most out of this product and love using it too! It sounds really gritty and thunderous, and exactly how good rock and metal drums should sound. There was also a lot of variation in the sound of the kits which is a huge bonus. By changing the kit, I was really impressed at how flexible this Kontakt library was. It was extremely well put together and meticulously recorded. I can’t emphasize enough how authentic it sounds. This instrument is completely Midi CC compatible and can be mapped to any Midi device you wish. It can also be tempo-synced to your host DAW of choice. So, if you’re looking for a drum library that is fully customizable with originality and total acoustic authenticity, then this sound library would serve you well. I just loved that this instrument was so tweak-enabled. You could actually spend hours and hours adjusting parameters to pull those sounds out that you crave and need. If you’re making a track and don’t have the option of a live drummer, Shreddage drums can be considered the next best thing-It really sounds so realistic! Advanced Kontakt users will also love Shreddage drums. It’s a drum designer’s paradise, primarily due to it being packed with features. I was impressed with this library and I will continue to enjoy working with it in the future. You can pick this up for just $119 over at Impact Soundworks. I hope I have provided some good insight as to what Shreddage drums can offer, and if you all have any questions, be sure to get the chat going on the forum! This entry was posted in Drum Kits, Product Reviews and tagged kontakt. Originally from London now based full time in NYC I've produced tracks for local artists, (U.S & U.K) Favorite weapon ⌘ Maschine Music is Life. Life is Music.